Farrell Lines Incorporated was named in 1948 after James A. Farrell, Jr., and John J. Farrell, sons of James Augustine Farrell, president of US Steel. The company was previously known as American South African Lines (ASAL). It was a passenger line and cargo line in regular service from New York City to South Africa stopping at Cape Town, Port Elizabeth, Durban and Lourenço Marques (Maputo) in Mozambique. The ships were well-appointed and carried about 180 passengers. In heraldic terms, the house flag is field per saltire red and blue, overlaid by a white saltire. Note: Marks ending in U are for container owners. 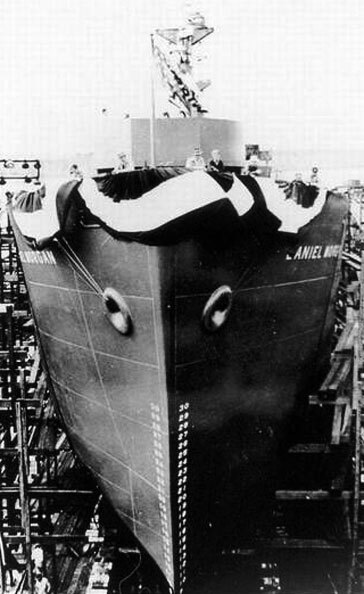 The heritage and shipping prowess of Farrell Lines can be traced back to the early 1900s when James A. Farrell Sr., the late president of the United States Steel Corporation, established his own steamship company. The Isthmian Steamship Company was created in 1910 as a subsidiary of U.S. Steel and was designed to mitigate the costs of shipping U.S. Steel's freight. James A. Farrell grew up the son of a ship's captain, and the knowledge he acquired aided him in establishing a shipping legacy. Farrell's foray into the shipping industry was a great success. He saved U.S. Steel Corporation substantial sums of money and ultimately decided to delve even further into this new enterprise. By 1928, Farrell was involved in several shipping ventures and operated three of the most influential companies in the industry: Argonaut Lines, Robin Lines, and the American South African Lines (ASAL). James A. Farrell Sr. had two sons to whom he imparted his shipping knowledge and business savvy. Both sons, John and James Jr., went on to operate two of the three major shipping investments. James Jr. was president of ASAL while John was principal stockholder and president of Argonaut Lines. In 1940, John abolished Argonaut Lines and transferred its vessels to ASAL. Shortly thereafter, James Jr. served in World War II in Naval Intelligence, and upon returning home, he teamed up with his brother to run ASAL. The two were able to create a powerful management team and operated the main U.S. flag and passenger service between Africa and the United States. By 1948, ASAL was the only line operated by the Farrell family and the name was subsequently changed to Farrell Lines. Determined to leave their imprint on the family legacy, the Farrell brothers worked tirelessly to improve their brand and position the company for growth. In 1965, they acquired the Australia-U.S. East Coast service from United States Lines. At this time the brothers also ceased offering passenger services, fixing their focus entirely onto the movement of cargo. Following their 1965 acquisition, growth came along rapidly, and in the early 1970s the company began the transition to containerized cargo handling. Farrell Lines purchased another string of companies in 1975, including the West-Coast Australia Service of the Pacific Far-East Line. By 1978 Farrell Lines had become the second largest U.S.-flag merchant fleet, 44 ships, with the acquisition of the entire American Export Lines fleet, including two container ships under construction or on order at Bath Iron Works, the Argonaut and Resolute. When James Jr. and John died in 1978 and 1968, respectively, they had made Farrell Lines a top-tier U.S. flag company. They had upheld their father's legacy and ultimately handed the company down to other members of the Farrell family. But difficult financial times hit the company, and Farrell Lines dropped all of its African and European routes and sold 38 of its 44 ships. By 1991, Farrell Lines continued to operate with only four ships and catered solely to the Mediterranean and Persian Gulf. Farrell Lines became a subsidiary of P&O Nedlloyd Container Line Ltd. in 2000, which was subsequently purchased by the A.P. Møller-Maersk Group in 2005. Following the purchase, Farrell Lines became a part of Maersk Line, Limited, the U.S. flag operating arm of the A.P. Møller-Maersk Group. Under Maersk Line, Limited, Farrell Lines has reemerged as a U.S. flag roll-on, roll-off carrier. Maersk Line, Limited revitalized the Farrell Lines brand in 2010 and increased the fleet to four ships. 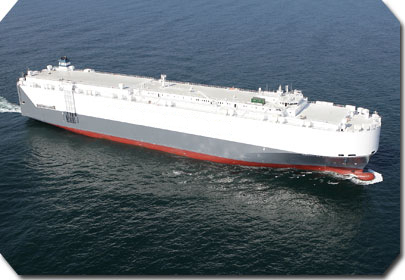 Farrell Lines currently operates in partnership with Höegh Autoliners and its U.S. affiliate Alliance Navigation, focusing their efforts on transits between the U.S. East Coast and the Gulf of Mexico to the Middle East and Southwest Asia. Farrell Lines has also been able to sustain its tradition of leadership by participating in the Maritime Security Program (MSP) and the Voluntary Intermodal Sealift Agreement (VISA); both are important programs designed to support the Department of Defense in its sustainment of U.S. military forces to ensure the fleet is prepared in the event that emergency deployment is needed. Farrell Lines International owned by Farrell Lines Inc. was a Liberian Company with offices at the Farrell House, Monrovia, Liberia. It existed from the 1950s until the Liberian Civil War, which started in 1988. The Company operated four coastal vessels registered in Liberia. Three were designed by Sparkman & Stevens and built by the John H. Mathis Company, Camden, NJ. They were the M/V Kpo, M/V Farmington and the M/V Cestos built in the 1950s by John H. Mathis & Company, Shipbuilders. The M/V Cavalla was a converted U. S. Navy landing ship. They were delivered to Africa on their own bottoms which took approximately thirty days. These ships were designed to have good seagoing qualities and maneuverability so that they could cross a dangerous bar on their regular run. The Officers were licensed and the crew well trained to navigate the coastal waters and rivers of West Africa. These ships brought supplies to the Firestone Plantation Company in Harbel, Liberia, as well as cargo to be flown inland by the Liberian National Airways at Robert's Field. 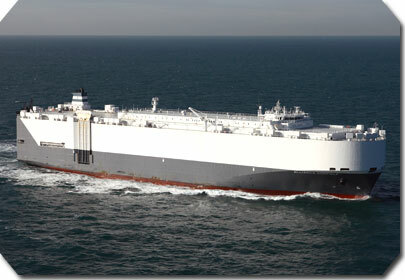 Since she had cargo handling gear, the M/V Kpo also made regular runs to other undeveloped ports including Cape Palmas. On their return to Monrovia they carried baled rubber as well as latex for trans-shipment to the United States. Having been a Harbor Pilot for the Port of Monrovia and the Captain of ships in the Farrell Feeder Fleet, I have first hand knowledge of these facts. Additional resources include Sparkman & Stevens designs 864 and 920 and the John H. Mathis & Co. Shipbuilders web site. The Farrell Line fleet currently consists of four pure car/truck carriers. In February 2010, Farrell Lines expanded its U.S. flag fleet with larger vessels to meet customers' growing demand. The Alliance Beaumont and Alliance Charleston, which have adjustable deck configurations to optimize space and maximize militarily useful stowage, joined the Alliance St. Louis and Alliance Norfolk. Farrell Lines fourteenth floor office at its downtown Manhattan location was full of ship models and paintings of ships. Behind the receptionist, as you came in the door, there was a world map with chains of white lights showing the various trade routes served by Farrell Lines ships. The world was illuminated by the white lights across the Atlantic, Pacific, the Mediterranean and the Indian Oceans. John J Farrell, wheelchair bound, used to stop by before the Christmas Holiday and distributed a two-week holiday check to each employee in both good times and bad. Families were a topic John cherished dearly. John was deeply saddened by the lost of his younger brother James many years earlier. As an employee to Farrell lines Incorporated, I had the privilege to dine aboard the African Neptune and Austral Ensign. While touring the African Neptune I saw a mural of King Neptune, holding his trident on his left hand, riding atop his chariot above the waves and guided by his sea-horses. The company's maps and other items display a shield with the company's flag under a ship surrounded by two sea-horses on each side above sea waves. The ship depicted in the official logo, was the SS Tusitalia, the last US flag commercial vessel powered by sails, yet the first to be assisted by a steam engine. West Isleta was a 5,680 GRT (8,800 DWT) cargo ship built by Ames Shipbuilding & Drydock Co, Seattle. Completed in 1919 for the USSB. Transfer to American South African Line in 1926. To MoWT in 1940 and renamed Empire Merlin. Torpedoed on 25 August 1940 by U-48 and sunk at 58°30′N 10°15′W﻿ / ﻿58.500°N 10.250°W﻿ / 58.500; -10.250 while a member of Convoy HX 65A. ^ "James Farrell, Former Head of U.S. Steel Dies". Chicago Tribune. March 29, 1943. Retrieved 2016-07-05. ^ "J. A. Farrell Dies. U.S. Steel Ex-Head. Laborer at 15. President for 21 Years of World's Largest Industrial Concern. Dean of 'Foreign Trade'. Broke All Shipments Records. Urged Economic Front With Britain to Insure Peace". The New York Times. March 29, 1943. Retrieved 2016-07-05. ^ "John Farrell, 75, Of Ship Line Dies. His Fleet Helped to Develop U.S. Trade With Africa". The New York Times. April 23, 1966. ^ a b c d e f g h i "Farrell Lines History". Farrelllines.com. Retrieved 27 October 2017. ^ "P&O NEDLLOYD ACQUIRES FARRELL LINES". Joc.com. Retrieved 2016-08-02. ^ "Farrell Lines Fleet". Farrelllines.com. Retrieved 27 October 2017. This page was last edited on 29 October 2018, at 23:13 (UTC).